A 22-year-old nulliparous, morbidly obese woman with a history of infertility was referred to the gynaecology outpatient clinic with PCOS. After losing 20kg within a couple of months of lifestyle changes, her weight dropped to 134kg. Then, she was commenced on treatment with metformin 850mg and clomiphene 50mg a day, on days 3–7 of her menstrual cycle, with ongoing weight management measures. Following one cycle of clomiphene, her progesterone levels indicated successful ovulation. One month after her last review, she was referred by her GP to an Early Pregnancy Assessment Service (EPAS) clinic at seven weeks of pregnancy (based on the last day of her menstrual period), with a suspected molar pregnancy. 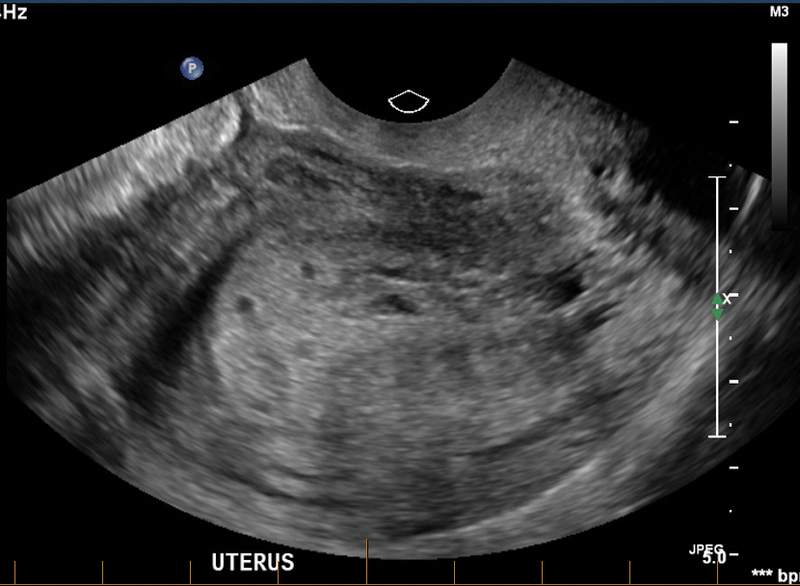 A transvaginal ultrasound two days prior to the EPAS assessment revealed diffuse 25mm thickening of the endometrium with multiple cystic spaces, raising the possibility of a molar pregnancy (Figure 1). Her serum β-hCG was 14025 IU/L. A repeat scan reconfirmed gestational trophoblastic disease without evidence of adnexal pathology. The patient showed no signs or symptoms of ectopic pregnancy. Although her β-hCG level was not typical for a molar pregnancy, a suction and evacuation was booked due to presumed atypical presentation. Tissue samples were sent to histopathology. She was discharged the same day with EPAS follow-up and a supply of β-hCG level request slips. Figure 1. Ultrasound findings consistent with gestational throphoblastic disease. Figure 2. Ultrasound findings suggestive of left tubal ectopic pregnancy. The patient self-presented to A&E six days after uneventful dilatation and curettage with abdominal cramps and moderate vaginal bleeding. Her β-hCG level was 14490 IU/L. She was admitted with suspected retained products or persistent molar pregnancy, with a plan to do an ultrasound the next morning and follow up the histopathology report. 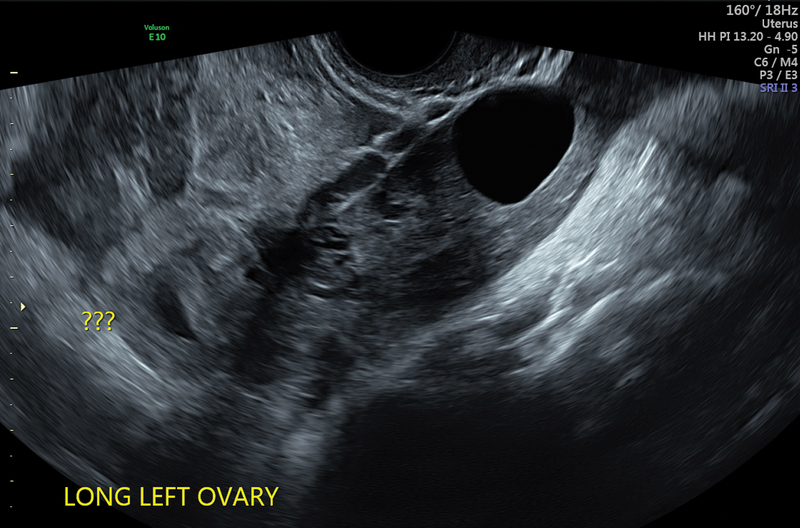 Transvaginal ultrasound showed no endometrial abnormality to indicate ongoing molar pregnancy or retained products of conception. A heterogeneous mass was found superiorly in the left adnexa with a small amount of free pelvic fluid. This may have indicated an ectopic pregnancy though no fetal pole was visible. There was a collapsed gestational sac within the endometrial cavity. The patient’s haemoglobin had dropped since the D&C from 107g/L to 95g/L. Her histopathology indicated only hypersecretory endometrium and decidua, no evidence of molar tissue. 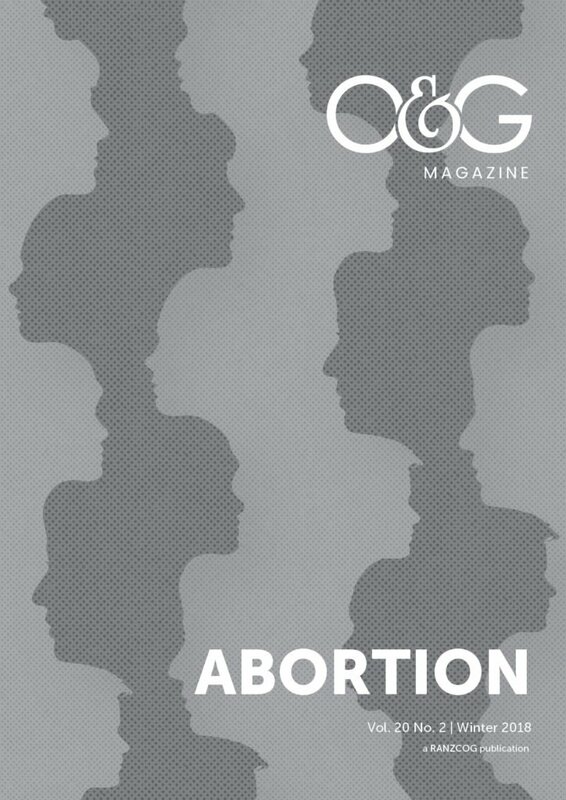 After counselling, the patient consented to surgical treatment for suspected ectopic pregnancy. Two hours later, she was taken to the emergency theatre for laparoscopic treatment of the ectopic pregnancy. During the procedure, active bleeding from the ectopic site was found and a left salpingectomy was performed. Estimated blood loss was more than 2L. The patient recovered well and was discharged with iron supplements after four units of packed red blood cells (PRBC) transfusion. At follow up one week after the laparoscopy, her serum β-hCG was negative and skin wounds were healing normally. Due to personal issues, she decided to take a break from fertility treatment. This case presents an unusual incidence of ectopic pregnancy, where possible molar pregnancy was a red herring. Two scans were done in different radiology departments and both were highly indicative of a molar pregnancy, without suggestion of extrauterine pathology. The patient had presented asymptomatic with scans suggestive of molar pregnancy, even though the β-hCG level was not typical of molar pregnancy. She was booked and underwent suction and evacuation procedure. This demonstrates how difficult it is to accurately monitor an early pregnancy in a morbidly obese patient. Retrospectively, clinicians should always repeat the β-hCG level 48 hours post-initial levels of hormone. Doing this would have helped to diagnose ectopic pregnancy, leading to further investigations and management at first encounter. Ectopic Pregnancy Guidelines. Health.qld.gov.au. 2018 [cited 27 January 2018]. Available from: www.health.qld.gov.au/__data/assets/pdf_file/0023/143906/f-epl-ectopic.pdf. Gaillard F. Ectopic pregnancy | Radiology Reference Article | Radiopaedia.org [Internet]. 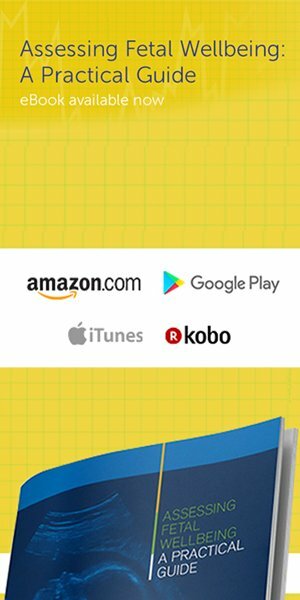 Radiopaedia.org. 2018 [cited 27 January 2018]. Available from: https://radiopaedia.org/articles/ectopic-pregnancy.